Serotonin and Candida - An unfamiliar link that has a lot to do with health. Serotonin and candida are unusually linked. 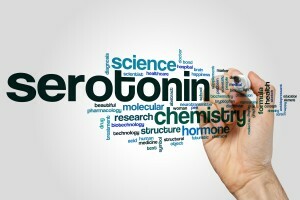 The happiness hormone, Serotonin, is not something you expect to see connected to Candida albicans. It is something we talk about more in relationship to brain dysfunction and mood disorders. Serotonin and candida is something we don’t hear much about. If we consider that 80-90% of the production of the body’s serotonin happens in the gastrointestinal tract, the distance between the two narrows significantly and a possible relationship between the two makes more sense. Why the GI Tract produces so much serotonin is not completely known yet (motility and appetite are two effects), but a functional link between serotonin and candida has been established, and it’s not about serotonin making candida happy. Scientists from Austria have shown that serotonin has anti-fungal activity against candida, helping to control its ability to change into its problematic fungal form and the activity of enzymes produced by it. Depending on the concentration of serotonin present, at lower concentrations, it can first interfere with the activity of candida’s enzymes, and at higher concentrations, it can significantly limit its fungal growth. It has been shown that the bacteria of the intestinal tract play a role in the production of serotonin and since fungal candida effectively regulates and alters bacterial ratios in the gut after antibiotic use, just as serotonin affects it, it can affect serotonin. In short, gut bacteria regulate serotonin levels and candida regulates gut bacteria. Serotonin and candida are linked. Another factor is that fungal candida increases inflammation throughout the body and this has been shown to play a role in neurological conditions such as depression and anxiety. Research from King’s College in London shows that inflammation is often linked to diabetes and depression. Researcher, Dr. Khalida Ismail states, “Inflammation may be driving a number of different long-term conditions. That’s quite a new way of thinking of the mind and the body”. Fungal candida can also play a role in creating diabetes through its pro-inflammatory effects and the induction of the body’s TH-17 immune response. The creation of blood sugar imbalances is associated with depression and depressive behaviors. Fungal candida is implicated in conditions such as MS, CFS, ME, arthritis, psoriasis, and other autoimmune diseases by researchers in Germany and Switzerland. The primary factor in the relationship between candida and depression, as well as a long list of other conditions, is inflammation. Many of these effects can be traced back to antibiotic use and it’s not the abuse of antibiotics, it’s the simple use of antibiotics. In killing 100 trillion bacteria in the body within 5 to 7 days, antibiotics cause a massive flooding of the body’s tissues with bacterial cell components that humans are highly allergic to. This can prime the body and the brain for a lifetime of inflammation and disease. Fungal candida results from antibiotic use and drives a lot of inflammation in the body linking it to over 125 different conditions. Of course, not all is lost and the body can be brought back into balance through the application of sound principles and an understanding of the body’s physiology and systems, microbiome, and fungal mechanics. Get started today on Dr. McCombs Candida Plan to re-experience a life of vitality! When all else fails, remember to laugh, as laughter stimulates the release of serotonin, which in turn inhibits candida.